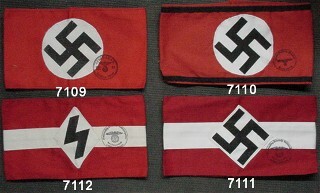 At Traders of the Lost Surplus, we offer one of the finest selections of Armbands you will currently find anywhere, all produced from originals we have collected over the years, so we obtain the best results possible, using 100% Cotton material, and we offer these at a most reasonable and affordable price anywhere, if you need Armbands for what ever impression, then forget the rest we're the best. 1. SA ARMBAND. 2. 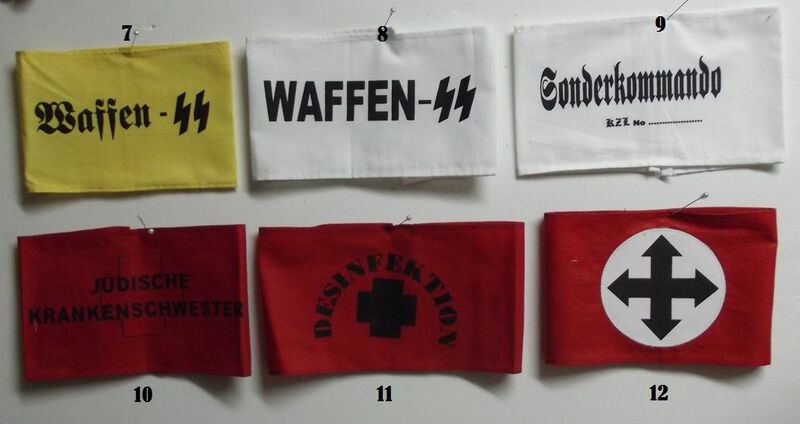 SS CAMP DOCTOR ARMBAND. 3. 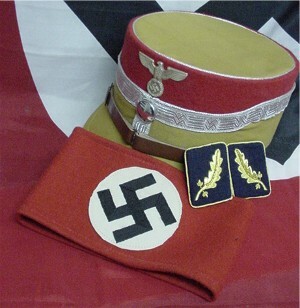 GERMAN WORKERS FRONT. 4. BDM GIRLS HITLER YOUTH. 5. JAPANESE PEARL HARBOR ARMBAND. 6. 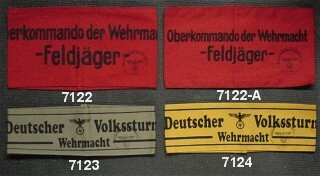 JAPANESE/GERMAN ARMBAND 7. 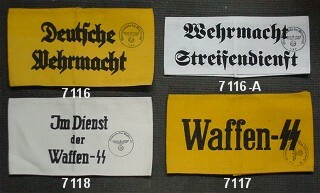 EARLY W/SS ARMBAND. 8. 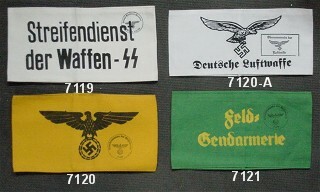 LATER W/SS ARMBAND. 9. 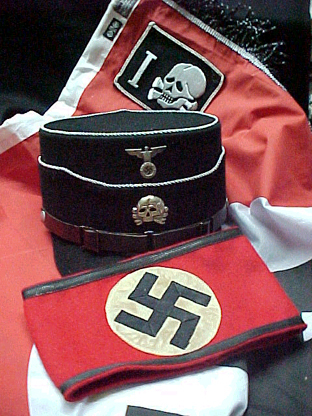 SONDERKOMMANDO SS ARMBAND. 10. JEWISH NURSE. !! !CHECK OUT OUR CLOSE OUT PAGE FOR OUR SPECIAL QUANTITY OF OVER RUN ARMBANDS!! !